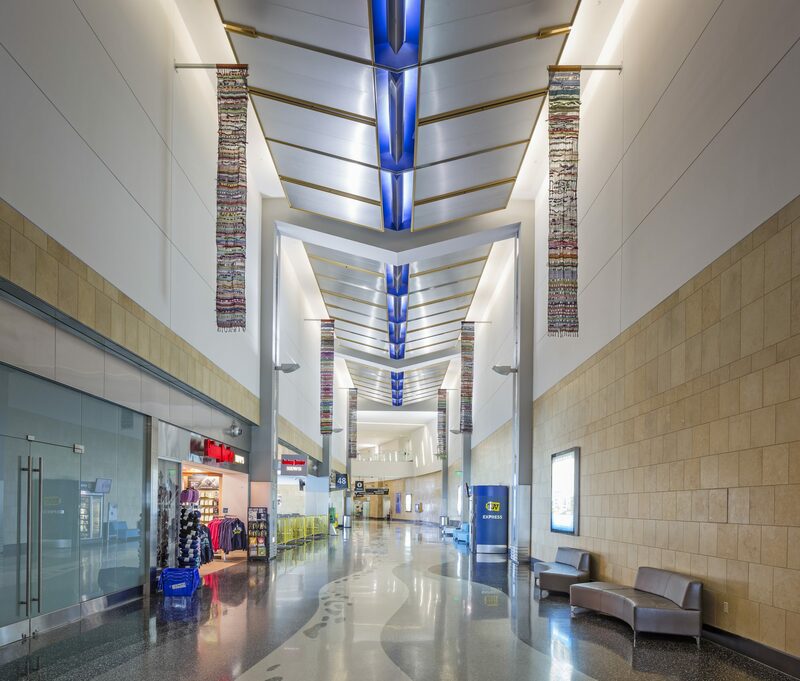 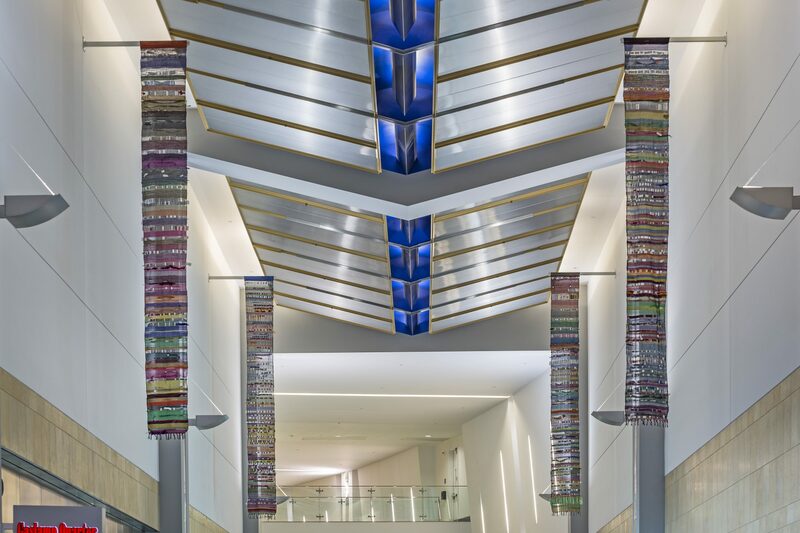 Suspended above the concourse are the colorful woven banners of Peace Portal, created by St. Madeleine Sophie’s Center, a non-profit providing arts instruction to adults with developmental disabilities. 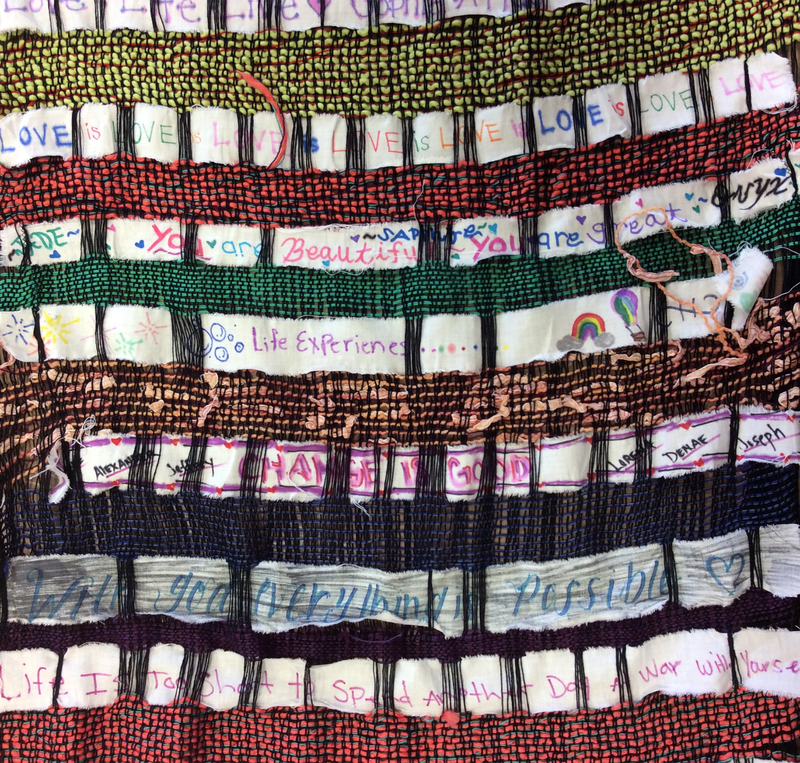 Sophie’s Center held multiple community workshops with partners throughout San Diego that encouraged participants to write poems and wishes of good will on strips of fabric. 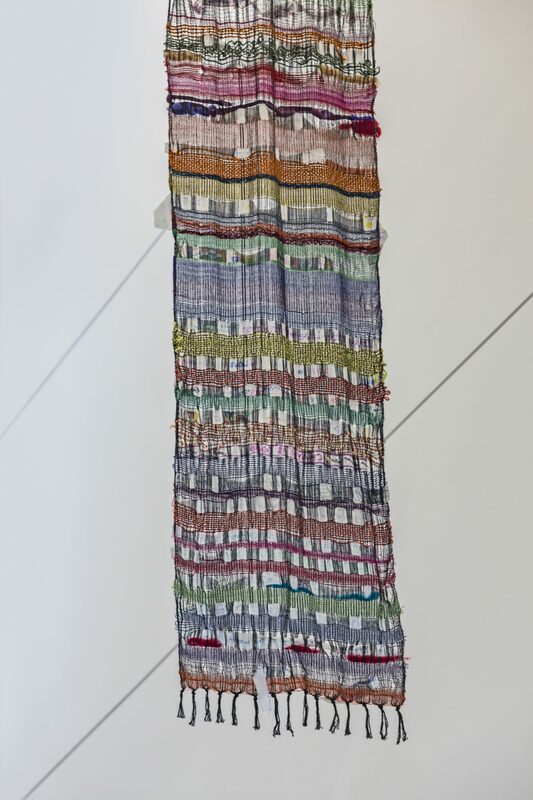 These messages were then used to weave panels in the Japanese Saori method, which utilizes a freestyle approach to weaving, allowing anyone to express themselves regardless of age, gender, or ability. 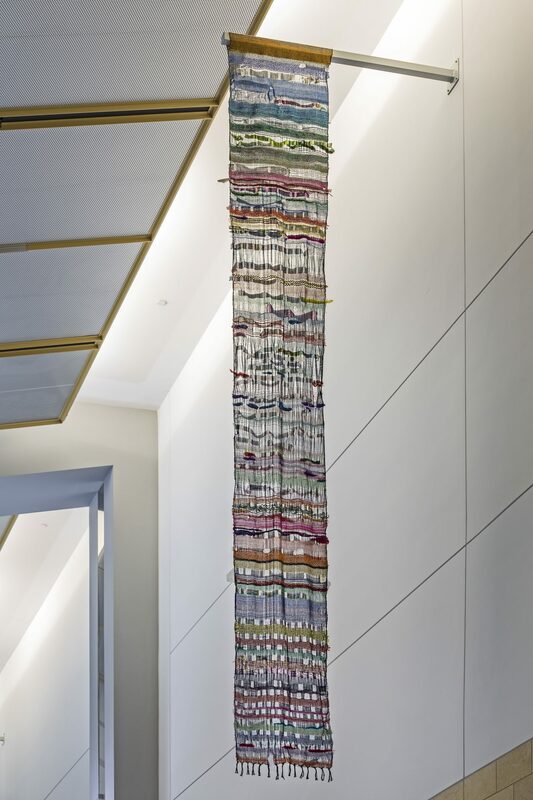 The written thoughts and intentions of the participants blend weaving and writing as a gesture of their contribution to an atmosphere of peace and goodwill.